When my friend Kim and I first heard about The Longest Day last year, we immediately knew what activity we wanted to do: Run! We both had been running and participating in road races for several years and the event seemed like a perfect opportunity to use our hobby to raise funds for an important cause. For the second year in a row, we ran during the entire 16 hours of daylight as a two-person relay on a high school track. Last year on The Longest Day we ran just over 76 miles combined and our mileage goal this year was to run at least 80. To prepare for the wear and tear on our bodies we trained all spring by running races and even ran a full marathon in May to get used to the time on our feet. I’m happy to report our training paid off and we logged 90 combined miles yesterday! We were not alone on the track though—we invited family, friends, coworkers, and the entire community to come out and join us. Several of our running buddies even ran 30+ miles each throughout the 16 hours and as a group we totaled more than 300 miles! We were in awe of everyone’s dedication to keeping us company as we ran through some crazy weather. The torrential rain, thunderstorms, wind and high temperatures couldn’t stop us on The Longest Day. Our fundraising efforts also went well. Besides emailing and using social media to ask for donations, we also held raffles with donated items such as running gear, entries to races and gift cards. Thanks to our generous donors, our tally is more than $5,000 and the donations are still coming in! During our event this year, we took the names of those we have lost to Alzheimer’s and those who are currently living with the disease and made a “Wall of Remembrance” around the track. Each time we ran a lap we looked at those names and ran for each of them. One of those names on the wall was my grandfather’s. When he was no longer able to live by himself, he moved into the senior living home where my mother worked as a nursing aide. Each time my sister and I visited he would remember less and less until one day he didn’t even recognize our faces. It hurt that a man so important in our lives no longer had those memories that we hold so dear. What hurt even more was that he didn’t know who my mom, his daughter, was anymore and she had to put aside her pain to care for him every day like he was just another patient. It makes you realize how important caretakers are and that you never know how much they are suffering as well. That’s why The Longest Day is so important—it honors not only those who have Alzheimer’s disease but also the ones who care for them all day long, every single day. Even though we have both lost grandparents to Alzheimer’s disease, Kim and I didn’t really realize the widespread impact until we participated in The Longest Day last year. So many people have come forward with heartbreaking personal stories of their own and it has made us appreciate that this event is more than just a fundraiser. It’s also a chance for those who have been impacted to come together, honor their loved ones and know that they are not alone. About the blog author: Rachel Degrand lives in Wisconsin. Together with her best friend Kim Maas, she is a two-time participant in Alzheimer’s Association The Longest Day®, a sunrise-to-sunset event to honor those living with Alzheimer’s disease and their caregivers. you ladies are an inspiration!!!! 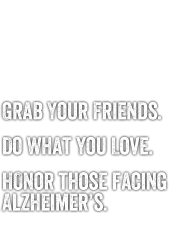 Thank you for your support of Alzheimers research. I am a former resident of Cambridge, Boston and Scituate Harbor. I live these days in just outside of Reno Nevada. I am a Alzheimers patient. Your support of research on this disease is greatly appreciated. Truly inspirational! 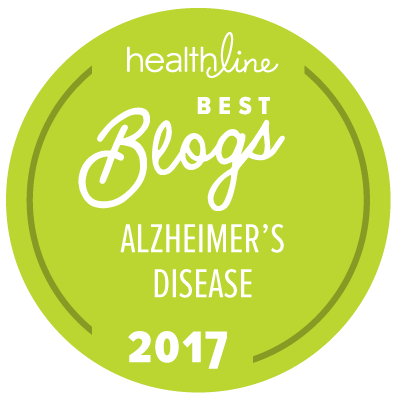 As a caregiver for other people's loved ones suffering from Alzheimer's and Dementia, I was very moved to read about this event and the widespread impact it had. Thank you ladies! Thank you Rachael and Kim for running the longest day. I am a caregiver for my Mother in my home. Heart breaking caring for her, yet I want to as long as I can. She has forgotten so much, her kids call and visit when able, my brothers and sisters all live out of state. She is delusional and hallucinates daily. It's like caring for a small child who won't ever grow up. Innocence I see, but with the terror of a bad kid. So, thanks and God Bless You for caring! Are we being super selfish or not accepting our fate?